Magazino founder, Frederik Brantner (r), shows Sophie Austen how the robot finds its way around and picks parcels. 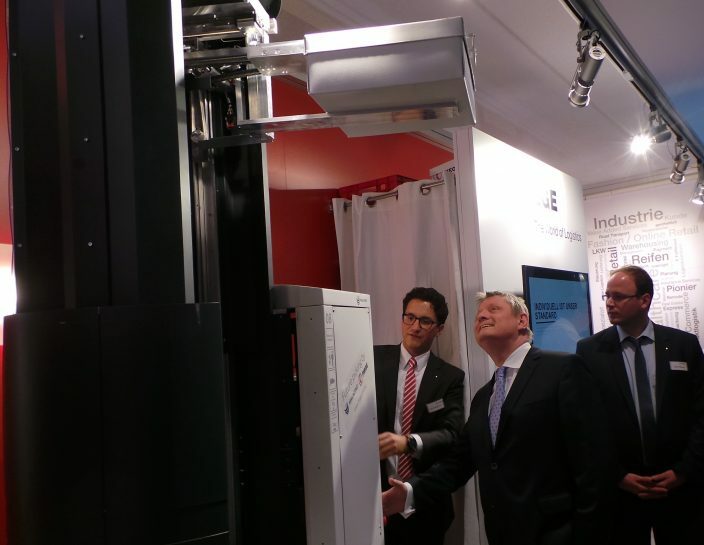 Health Minister Hermann Gröhe (2nd from left) was interested in the picking robot from Ibbenbüren. 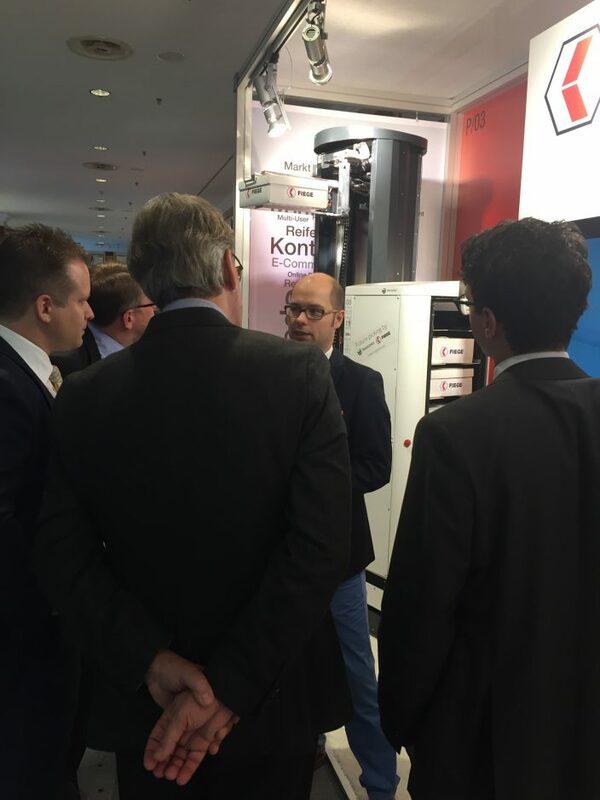 Julius Wegmann (l) and Julian Mester explained to the Minister how the robot operates. 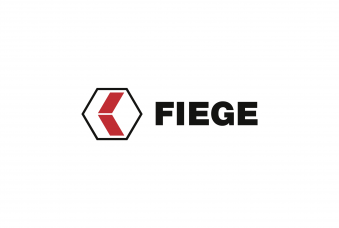 Fiege’s stand at the BVL congress. 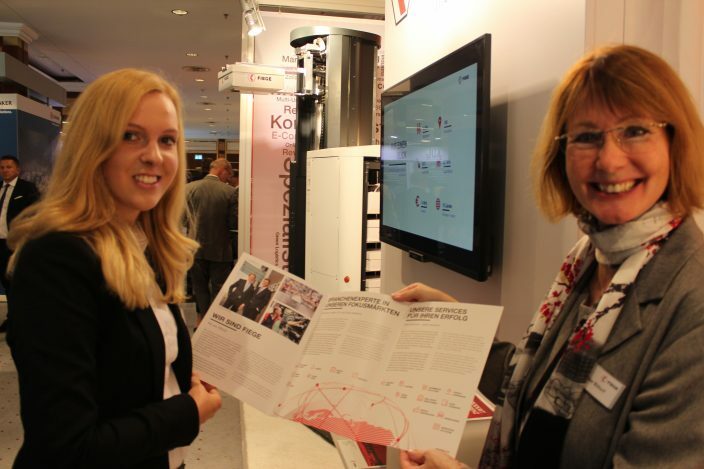 Sophie Austen (l) and Anne Bittorf had brochures of new design ready for those who came to the stand. Fiege give-aways like soft toy trucks, pocket knives, keyrings and frisbees enjoyed even greater popularity. It was the secret star at the Fiege stand. 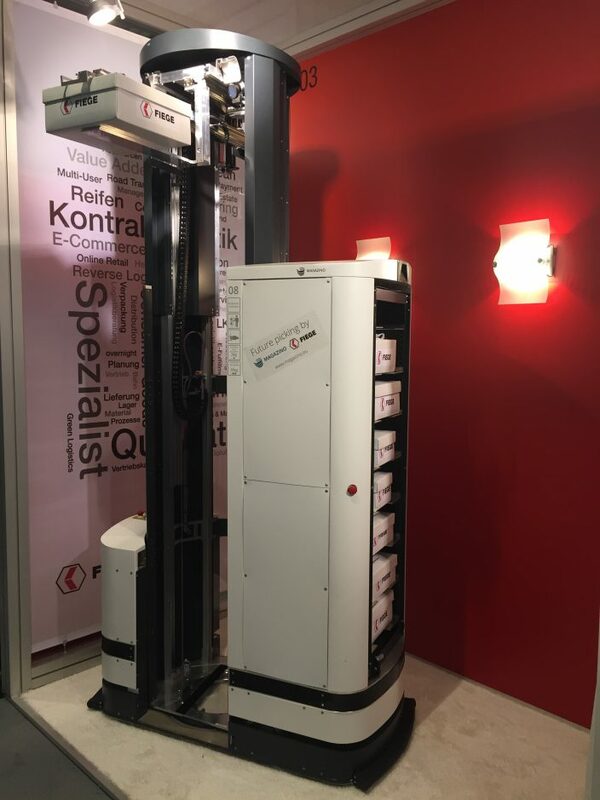 The robot developed by Munich-based start-up, Magazino together with Fiege in Ibbenbüren, for handling intralogistics. Head of the Fashion business unit, Christoph Mangelmans spoke to an attentive audience about the work the robot performs in Ibbenbüren. A lot going on at the Fiege stand. Berlin. 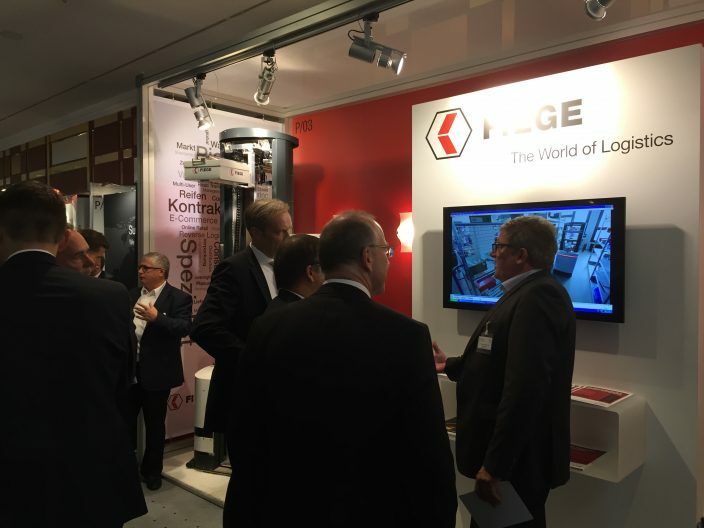 The Fiege Group participated in the congress organised in Berlin by Germany’s logistics association, Bundesvereinigung Logistik, with its own stand. “Driving Change” was the motto headlining the 33rd German Logistics Congress held at the Intercontinental Hotel from 19th to 21st October. 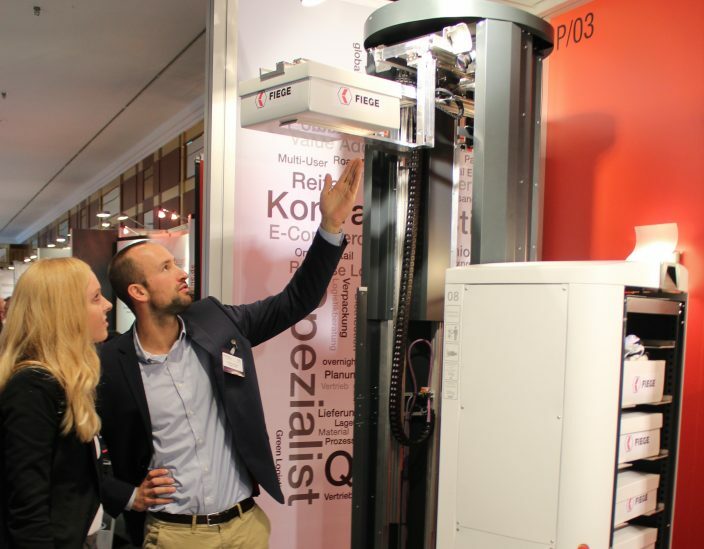 At its stand, Fiege introduced one of three robots based in Ibbenbüren that pick shoes previously ordered online. The robot proved to be a genuine people magnet, attracting the attention of many, including the Federal Health Minister, Hermann Gröhe. 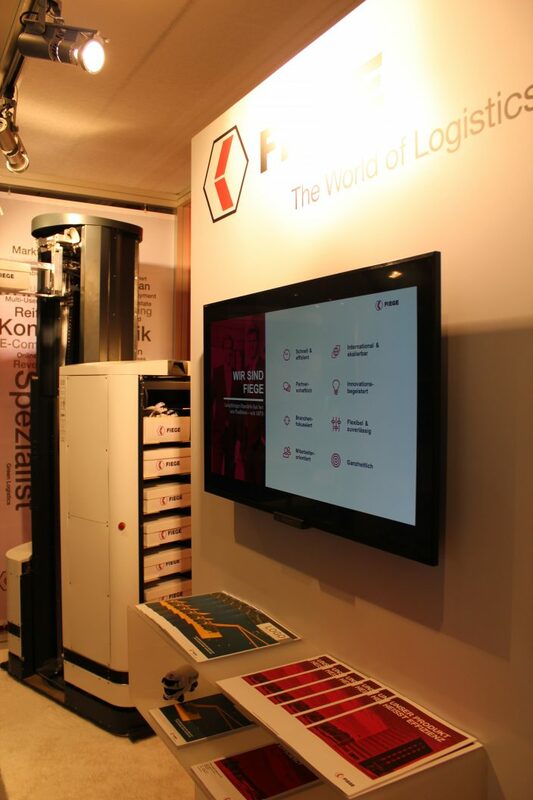 For more impressions from Fiege’s stand at the logistics congress, take a look at the photo gallery.